Have you ever had a Christmas Party Catastrophe? Home » Blog » Have you ever had a Christmas Party Catastrophe? 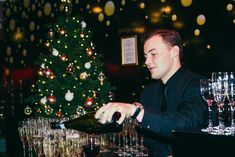 We’ve organised a few Christmas Parties in our time here at Merlin Events, it’s fair to say we’ve seen the highs and we’ve seen the lows. It would also be fair to say the lows have provided some wonderful entertainment over the years, more so now that we can reflect on those times. We’d like to invite our readers to submit their best Christmas Party Catastrophe’s by commenting on our blog. All you need to do is tell us in less than 100 words about your Christmas Party Catastrophe; on 21st September we will be choosing the top 3 stories who will all win a pair of London Dungeons tickets. If your Christmas Party memory is a bit foggy, we’ve given you a bit of help below with a few stories that people have already submitted! Venuefind told us on twitter that they held a Christmas Party at a leisure club where 12 guests broke into the swimming pool for a bit of skinny dipping. It was a little challenging to remove the intoxicated guests from the pool! We all know that co-workers can often get a little too close for comfort at the Christmas Party. However you need to watch the staff too, Victoria Brown told us that her colleague was getting frisky with the venue cleaner! It must have been those dancefloor moves with the mop and bucket. At 11pm one night, our security told us there was vomit seeping out from the disabled toilet, after knocking repeatedly on the door, security got in and a gentleman told us ‘I am not sure who did that’ then proceeded to walk through what was quite clearly his own vomit, he was off to return to the party. Needless to say security soon told him he needed to go home and clean his shoes. 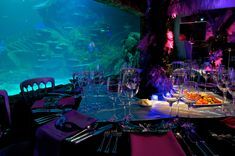 During the refurbishment of the SEA LIFE London Aquarium in 2008, our team here at Merlin had to try and sell the space without any SEA LIFE in it! We even installed some virtual fish – you can ask Michael about that one. Kelly Eden told us on twitter that her pre booked cabs never even arrived to take her party to the party! May the Fourth be With You – 10 Reasons why it’s hard to resist the Star Wars experience at Madame Tussauds London!